I carried it on all my fledgling cycling adventures over the Sussex Downs and I seem to recall taking it on a family holiday to Cornwall "just in case". I didn’t sleep with it under my pillow, but I did consider it part of my family's essential survival cache should Armageddon hit the South Coast unexpectedly. The thing was, I never actually knew how to use it. It wasn't until my University days and our regular trips out to the moors of the South West that I began to hone my skills. The fog can be thick down there at times and it didn’t take too many trips out to realise the wisdom of expanding my navigational repertoire - whether for the quick reassurance of heading in ‘roughly’ the right direction to reach my destination at some point, or for the more urgent need on trips to higher mountains where the risk of misidentifying the correct gully for descent could have terminal consequences. 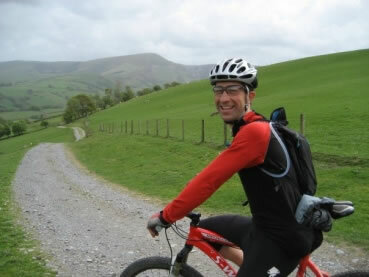 More recently a friend and I picked up a penchant for the sport of MTB orienteering. We were actually pretty good. I recall a particularly satisfying race where we happened across 20 or so other competitors at a complex 7-way junction in the middle of forestry commission land. A high scoring control and potential victory was down one of the paths; humiliation and defeat down the rest. As we stopped to grab the compass out the back pocket to double check the bearing, another pair amongst the group consulted their map and with certainty headed off. Another pair quickly followed behind them and with the ‘lemmings’ effect in action so did the rest of the field shortly after. My partner took a bit of convincing to go in the opposite direction, but seconds later we had the control and I enjoyed a very smug ride back to base where a sweet smell hung heavy in the air. A couple of years ago I experienced my first true ‘white out’ in the eastern area of the Scottish Cairngorms. After admiring views on the top we found ourselves descending into the unknown on the other side of the hill. Snow on the ground merged as one with the fog and down and up were not even obvious let alone the direction of the lochon where we planned to spend the night. Pause for breath, gather the group, take bearing, faith restored - my pocket money investment all those 25 years previous pays dividend once again. With the advent of new navigational technologies - GPS and the like - there is an anxiety that mastery of the finer arts of map and compass work may become lost by the masses. 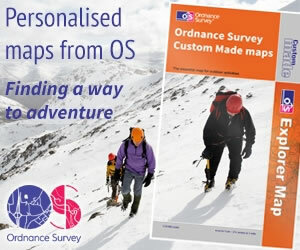 However, Ordnance Survey tell us paper map sales are back on the rise as outdoorists at least are losing faith with the reliability of electronic devices and I hope the same is true for the humble handheld compass. My Silva Compass is almost three decades old now and still pointing reliably north (magnetic north of course, but I know how to adjust for that). I actually think it might well be the longest serving of all my outdoor possessions, with everything else worn out or outperformed by some later technology. I forget how much I paid for it back then, probably less than a tenner, but I think it's fair to say it was a wise investment for my young years and hopefully a case to prove there is very much a point.